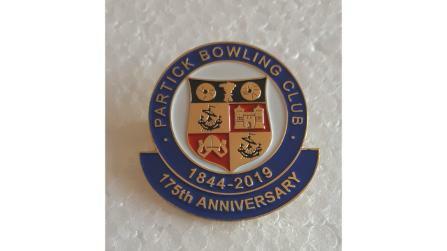 We are a UK supplier of ENAMEL LAPEL PIN BADGES, EMBROIDERED SEW ON BADGES & PATCHES, BUTTON BADGES EMBROIDERED POLO SHIRTS & CLOTHING, KEYRINGS, SCARVES, HATS, TIES, PENS, PRINTED MUGS, PENNANTS, AIR FRESHENERS, SILICON WRISTBANDS, TROPHIES, MEDALS & PROMOTIONAL BUSINESS GIFTS based in STONEHOUSE, NEAR GLASGOW, SCOTLAND, UNITED KINGDOM. 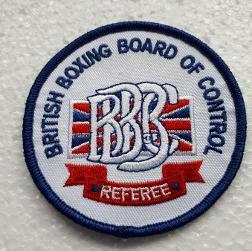 We specialise in PIN BADGES & EMBROIDERED BADGES FOR SPORTS CLUBS & ASSOCIATIONS. We are also delighted to supply products to Masonic Lodges, Flute Bands & Pipe Bands, and are proud to have been chosen to supply Lanyards & Embroidered Badges to THE ROYAL NAVY for new ships being built. Our customers range from large Premier League Football Clubs to small Bowling Clubs - however, each customer can expect the same high level of service - and quality of products. We have supplied a PROFESSIONAL SERVICE SINCE 1997 - CONTACT US to find out why so many customers trust us for their requirements!! We pride ourselves on working closely with our customers to fully understand their requirements prior to them placing an order. All we require is a basic sketch or idea from yourselves as to how you would like your badge (or Keyring) to look. We are ideally based close to the M74 motorway in STONEHOUSE, NEAR GLASGOW, SCOTLAND. Thank You for visiting the site - we hope to be of service to you in the very near future.